The tube gets a lot of attention, but while we're all busy obsessing over underground stations, their mainline cousins are wreaking all sorts of havoc. We've lost count of the number of times we've been waiting for a train on the Southeastern side of London Bridge station, only for said train to disappear. We'll be standing on the platform waiting for our train. It's the next one listed on the electronic screen. 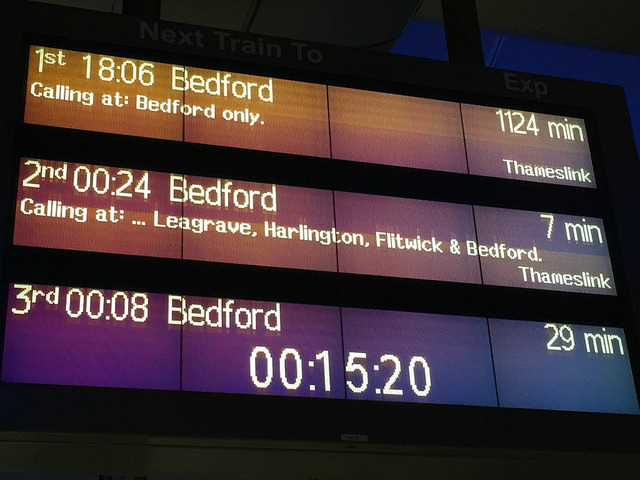 At the due time of arrival, it'll be delayed by a minute, then two, then three... until the information wipes off the screen and the next train is listed. No announcement. It's not delayed. It's not cancelled, it's just... gone. 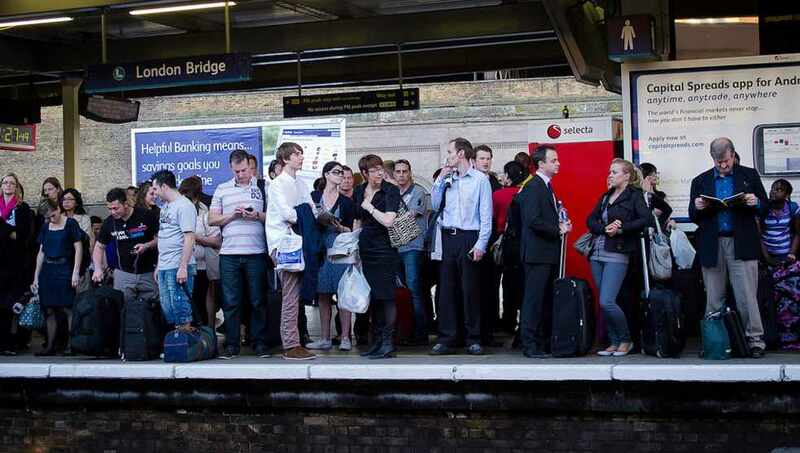 It's been happening to us for at least six years, and only ever seems to happen at London Bridge. What worries us most is this — where do these trains go? They can't simply disappear, especially the ones inbound to London, which presumably already have an abundance of passengers onboard. Is there some sort of commuter train graveyard among the railway arches between New Cross and London Bridge? A 21st century Bermuda Triangle? Answers in the comments please. Cannon Street has its own mini weather system, we're sure of it. Several times we've approached the entrance to the station in fine weather. We'll walk straight through the ticket barriers and down the entire length of the platform. By the time we reach the uncovered bit of platform over the river (three or four minutes after entering the station), the sky is dark grey and it's hammering it down. This has happened to us too many times for it to be a coincidence. Thankfully, this station has the best passenger waiting room on the network. It's called the Blackfriar, and Thameslink sends it much custom. Don't even get us started on Waterloo East. How it even has the audacity to refer to itself as 'Waterloo', we'll never know — as anyone who uses it regularly will attest, it's practically in the next postcode zone to its namesake. Southwark West would be infinitely more appropriate. Got any more station oddities to add? Pecularities of Paddington, perhaps, or the curse of King's Cross? Let us know in the comments below.